a local, family-owned business that has served the Carolinas since 1957. 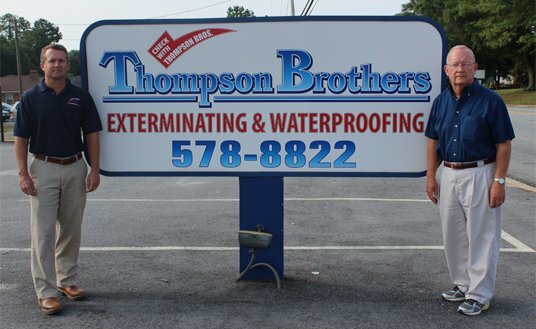 Thompson Brothers helps businesses and families with a wide array of services, from basement leaks, to invasive bugs, to termite services for new home sales. At Thompson Brothers, our aim is to deliver the highest-quality job based on your specific needs. We pride ourselves on our strong work ethic paired with a small business touch. Thompson Brothers is a Better Business Bureau accredited business in both North Carolina and South Carolina. We aim to always keep our customers protected, safe, and satisfied.